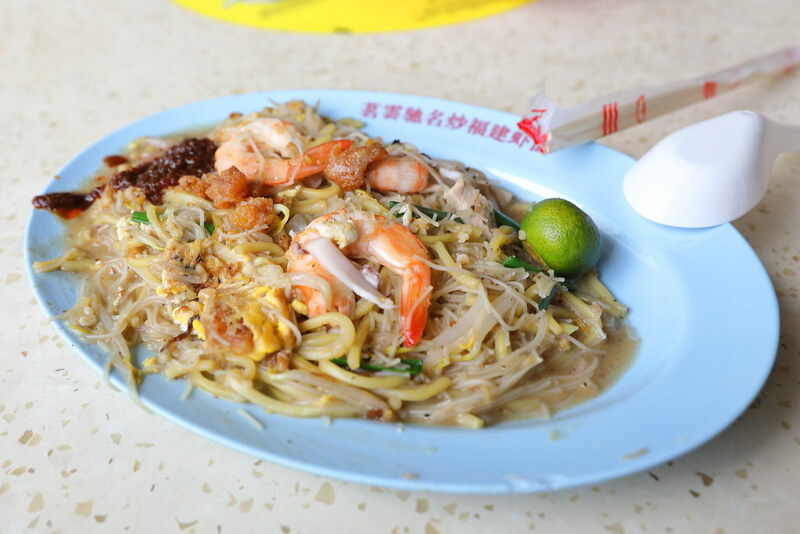 This is my first time visiting Geylang East Centre Food Centre and I chanced upon Ming Yun Famous Fried Hokkien Prawn Noodle which serves a decently good plate of fried hokkien mee. During my visit, the stall is run by an uncle alone who is probably is around 50-60 years old. Apparently the stall has been around for some time but has relocated several times. As far as I know, it used to be in Redhill, Bedok 85 and Tampines before settling down at its current location. 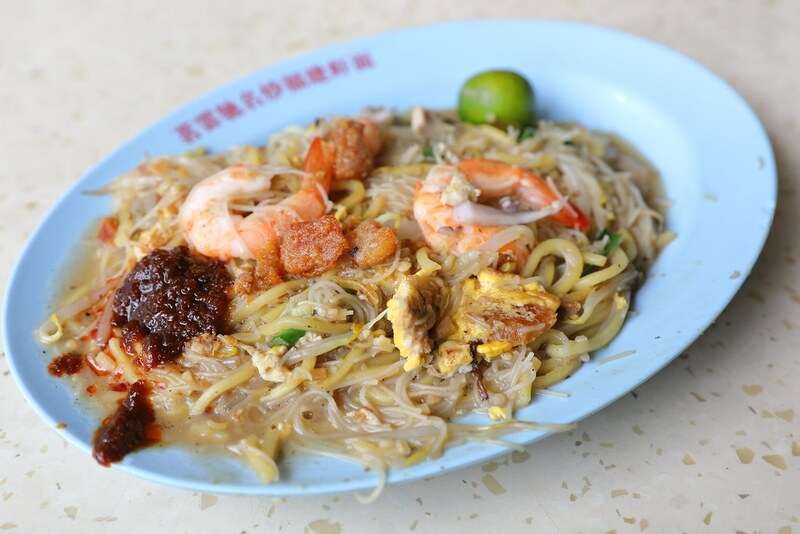 I ordered a pate of the Fried Hokkien Mee ($4/$5/$6) which comes with 3 peeled prawns, squid, egg, pork belly and pork lard. 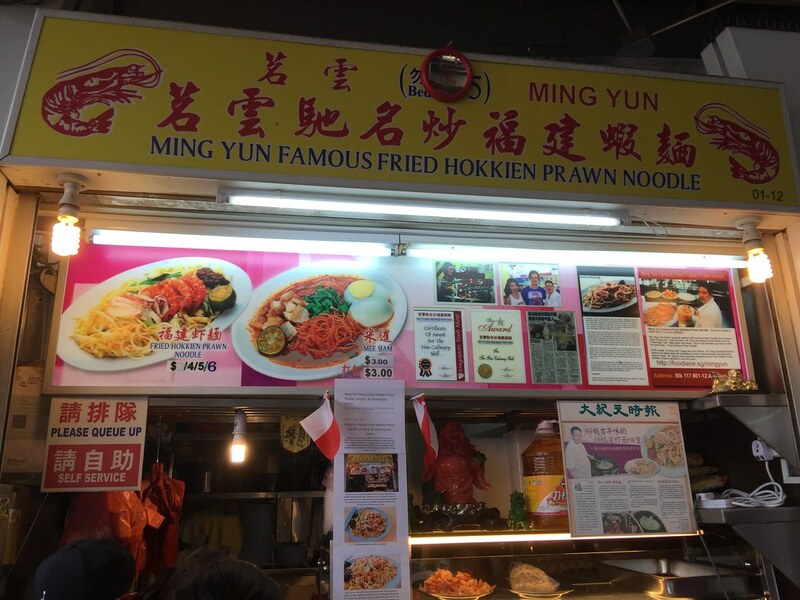 The first thing I noticed is the used of thin beehoon noodle instead of those thicker type used my most fried hokkien mee stalls.I actually like used of the thin beehoon which seems to be a better absorbent of the stock. In addition, the wok frying probably have given it a drier texture providing a contrast to the wetter yellow noodle. I ordered the smallest plate at $4, For the pricing, I think the stall is quite generous with the ingredients (prawn, squid and pork belly). What I enjoyed most is the burst of unami from the crispy pork lards, capping the whole enjoyment. I read some reviews that they find the stock too sweet, I actually thought otherwise, which is rather balanced. However I have to agree about the chilli, it does not go well with the hokkien mee. Surprisingly, the stall also sells mee siam on the menu. However, everyone in the queue ordered only the hokkien mee. 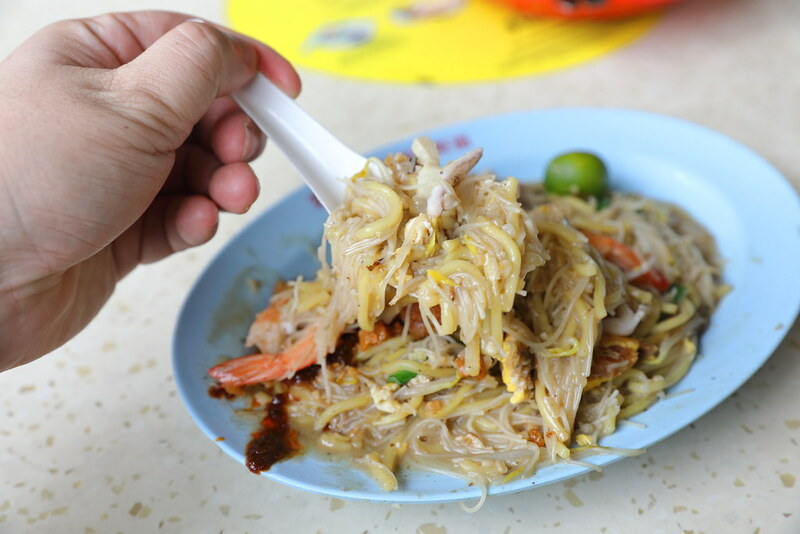 I guess we have to trust the crowd and stick to the fried hokkien mee and give the mee siam a miss.